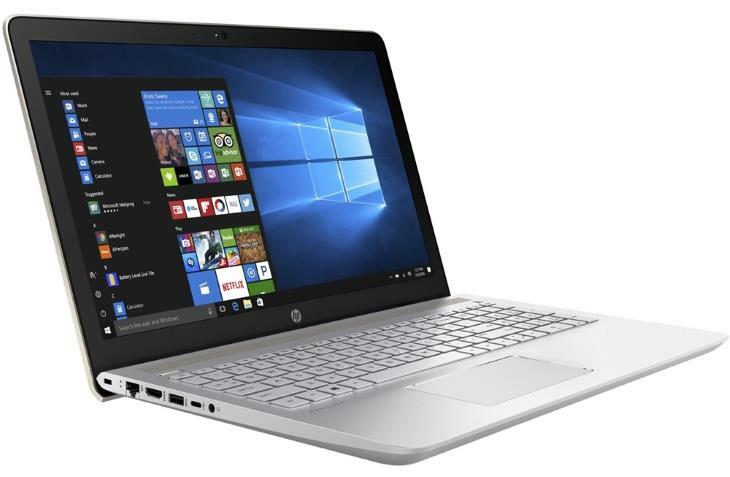 The HP Pavilion 15t (SKU: 1DR31AV_1, year 2017) is a very popular 15.6-inch Windows 10-based laptop series, offering well-balanced specs and reasonable pricing. The 1DR31AV_1 is a configurable Pavilion 15t model sold directly by Hewlett-Packard. You can get the same laptop via various retailers as fixed configurations under different Pavilion 15-series model names. 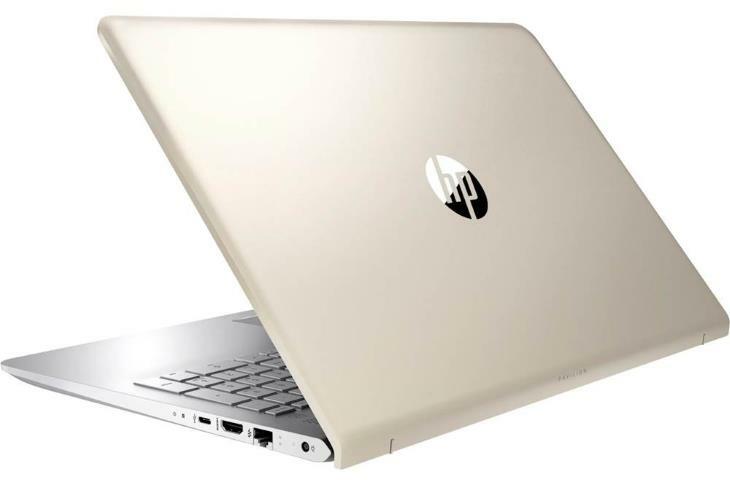 In both cases, you’re getting a mainstream 15.6″ laptop with Intel’s 7th Generation Core series processors, up to 16GB of RAM, various hard drive and solid state drive storage choices, optional dedicated video card, optional touchscreen and Full HD displays, and sleek-looking gray chassis made of plastics with Mineral Silver and Silk Gold lid color choices. The basic screen choice is a non-touch panel with 1366-by-768-pixel HD resolution. The same panel is configurable with finger-touch functionality. The Full HD 1920-by-1080 screen choice lacks touch option, but additionally provides IPS technology for wide viewing angles. 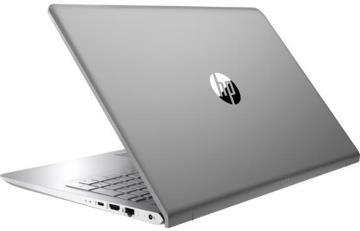 The HP Pavilion 15t 1DR31AV_1 comes with either the 7th Gen Intel Core i5-7200U or i7-7500U dual-core processor. Both chips are more than capable of handling the usual daily computing chores. 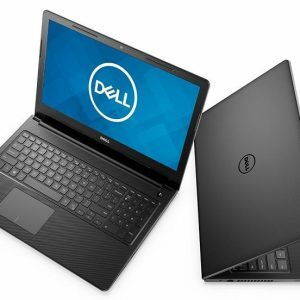 In addition to that, they are decently-powerful and cost-effective laptop CPU solutions for more demanding users like music, video, and photo producers. The basic graphics processor option of the Pavilion 15t 1DR31AV_1 is the Intel HD 620 graphics integrated in the i5 and i7 CPUs. The HD 620 is good enough only for entry-level gaming. If you want more graphics muscle, HP provides a choice of the Nvidia GeForce 940MX video card with either 2GB or 4GB of dedicated video memory. As for system memory, available are 6, 8, 12, and 16GB capacities. For data storage, you can get a 1-Terabyte or a 2-Terabyte hard drive, or a faster solid state drive with either 256GB or 512GB capacity. Furthermore, you can combine the 1TB HDD option with a 128GB or a 256GB SSD. The 2TB HDD can be supplemented only by a 128GB SSD. A built-in DVD optical drive has been omitted. As usual, the keyboard features chiclet-style keys and a dedicated numeric pad. Key backlight is optional. The touchpad’s buttons for left and right clicks are integrated in the touch surface. The Pavilion 15t 1DR31AV_1 has stereo speakers, an HD-quality web camera, Wi-Fi 802.11AC wireless and Gigabit Ethernet LAN network connections, two standard-format USB 3.1 ports and a compact USB-C 3.1 port, HDMI external display connector, a multi-in-one media card reader, a combo headphones / mic jack, and Bluetooth. The laptop has a battery capacity of 41 WHr. HP claims it’s good enough for up to 9 hours of power autonomy on configurations with HD displays and up to 7 hours and 15 minutes on Full HD-equipped configurations. The device has a starting weight of 4.2 pounds per HP’s official specs sheet. The basic price at the time of this writing is $470. Here's the specs sheet of the HP Pavilion 15t 1DR31AV_1 2017. For comparison against other laptops, use the "Compare Specs" button.